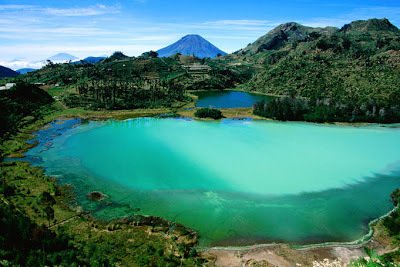 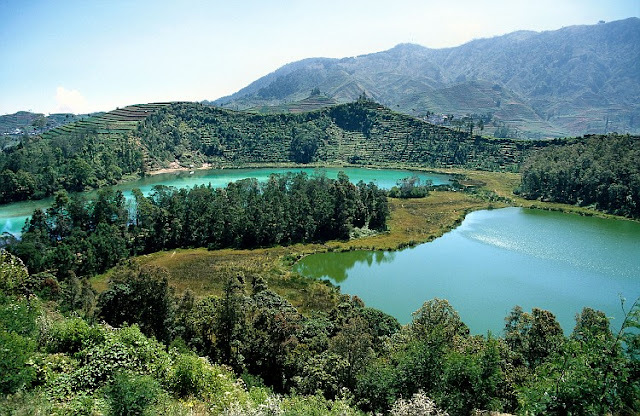 Dieng Plateu, is a marshy plateau that forms the floor of a caldera complex on the Dieng active volcano complex near Wonosobo, Central Java, Indonesia. 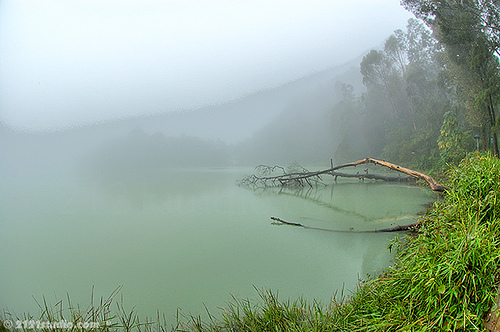 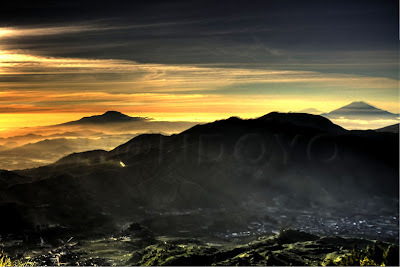 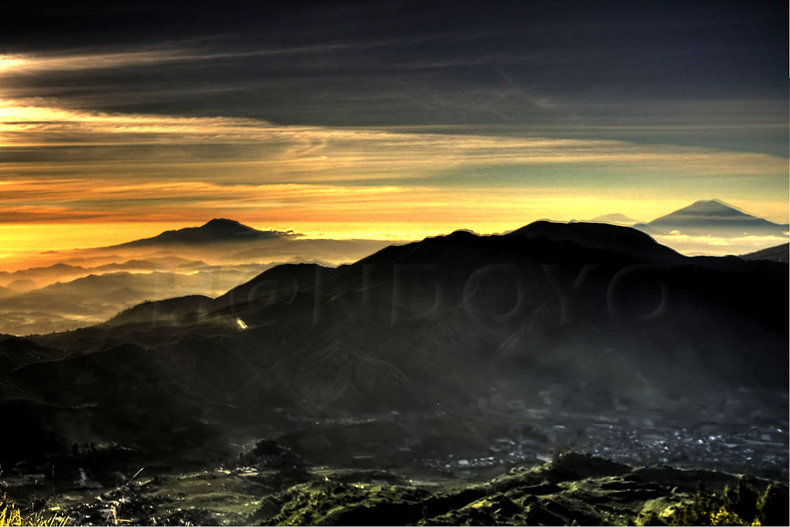 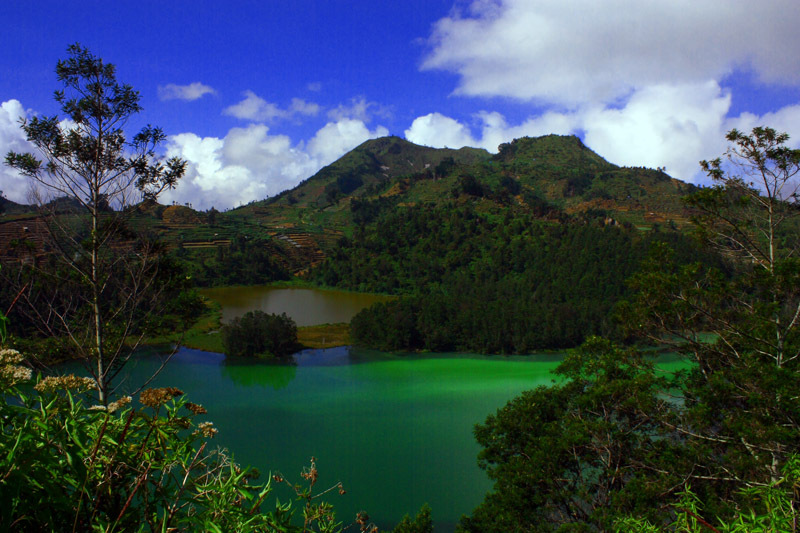 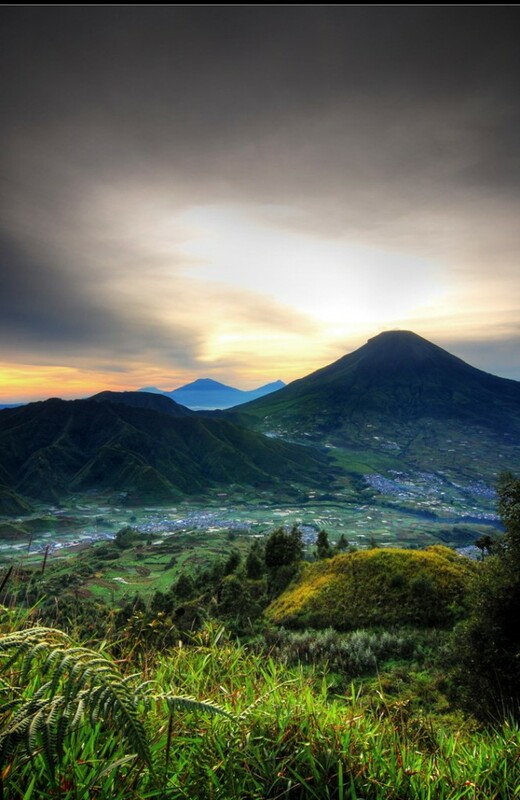 Referred to as "Dieng" by Indonesians, it sits at 2,000m above sea level far from major population centres. 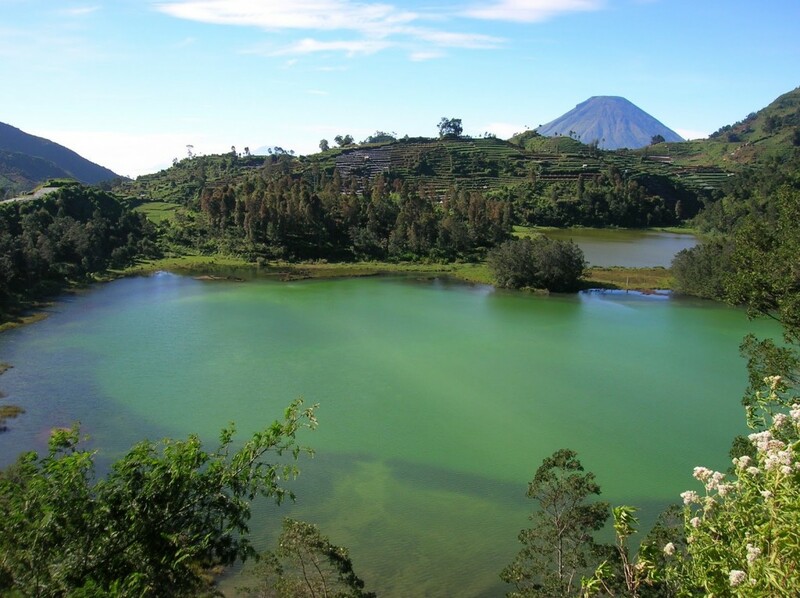 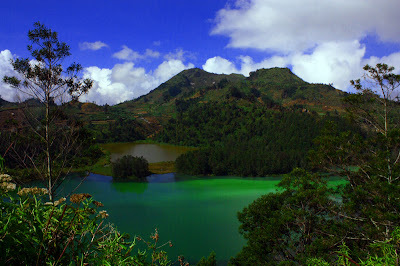 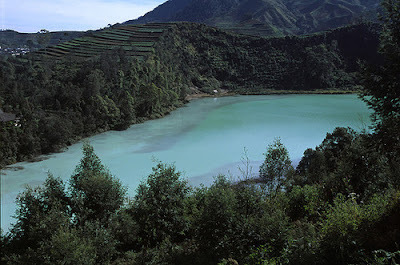 The name "Dieng" comes from Di Hyang which means "Abode of the Gods". 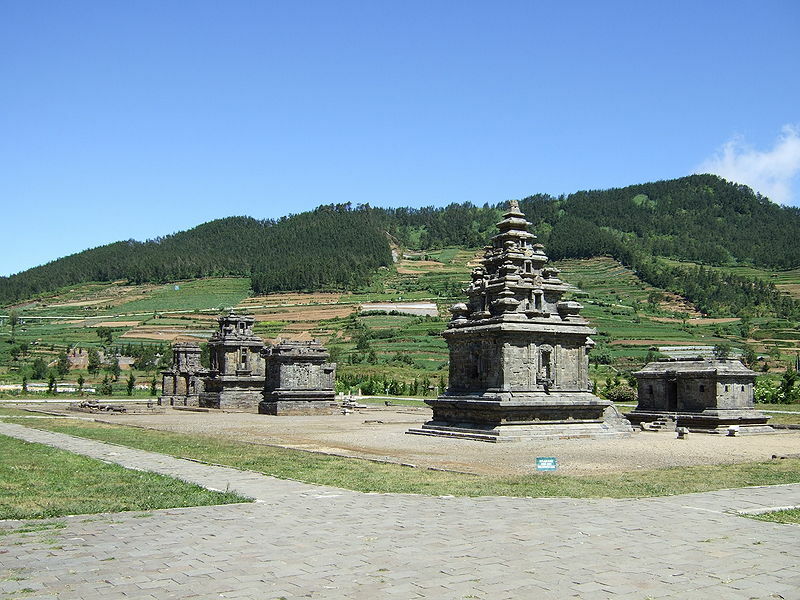 The Plateau is the location eight small Hindu temples. 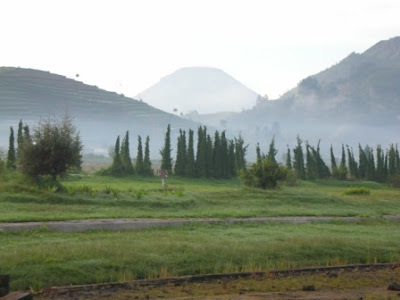 Built around 750 CE, they are the oldest known standing stone structures in Java. They are originally thought to have numbered 400 but only 8 remain. 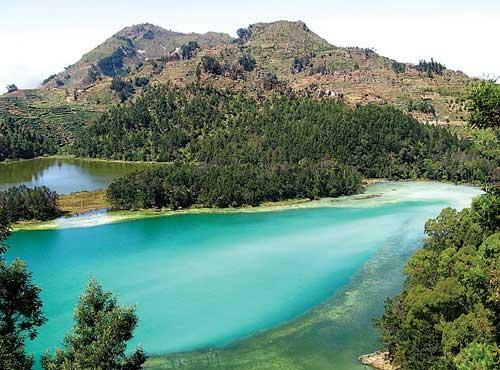 Dieng's misty location almost 2000 m above sea level, its poisonous effusions and sulphur-coloured lakes make it a particularly auspicious place for religious tribute. 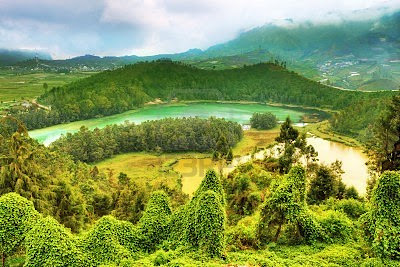 The temples are small shrines built as monuments to the god-ancestors and dedicated to Shiva. The Hindu shrines are miniature cosmic mountains based on plans in Indian religious texts, although the design motifs that have little connection to India. 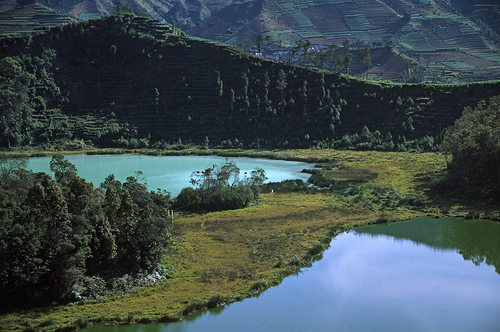 The earliest architectural usage of the Javanese demonic masks and marine monsters are exhibited along the niches and doorways of the remaining structures. The Dieng structures were small and relatively plain, but stone architecture developed substantially in only a matter of decades resulting in masterpieces such as the Prambanan complex and Borobudur.